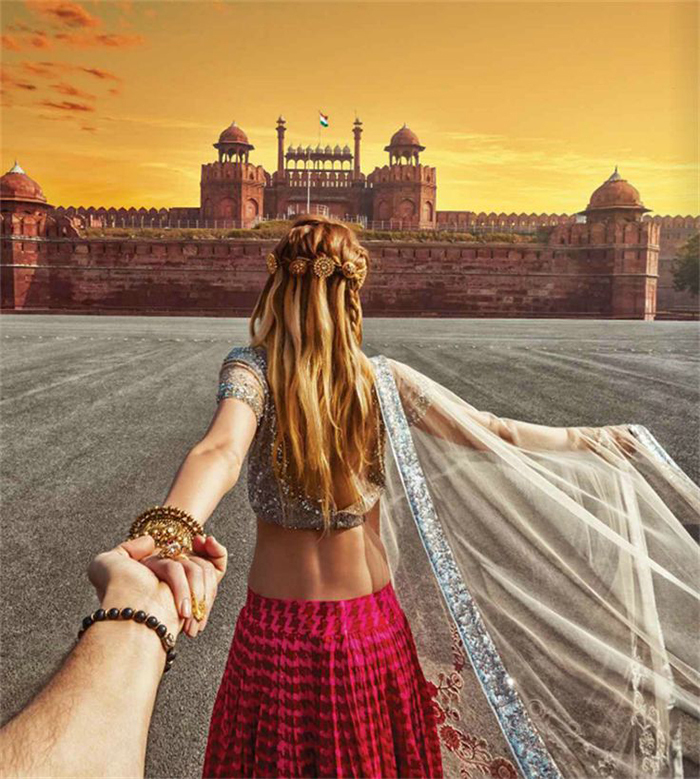 ﻿ Follow Me Around The World Couple Visit India. 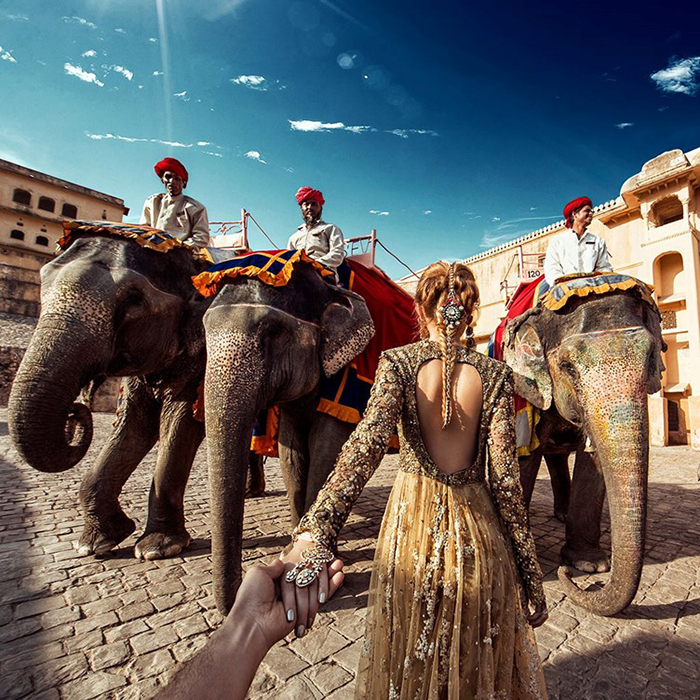 The Pictures Are Breathtaking! 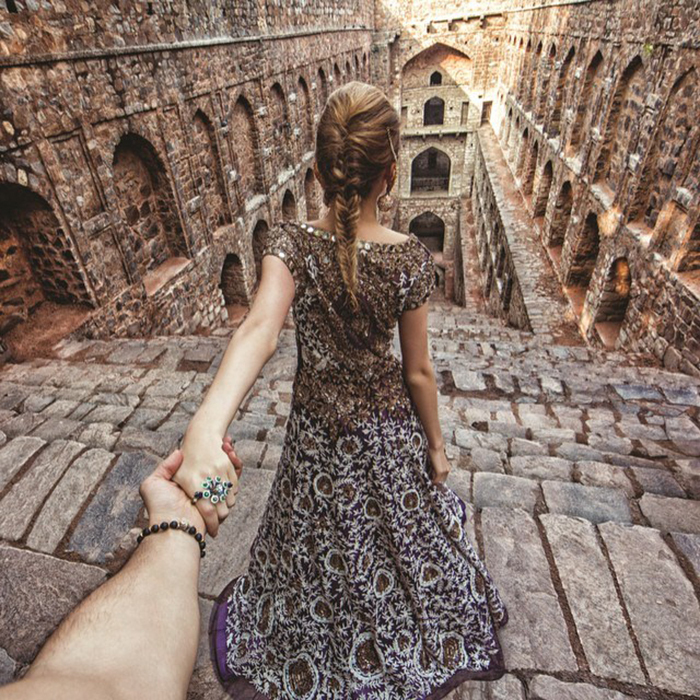 Follow Me Around The World Couple Visit India. The Pictures Are Breathtaking! 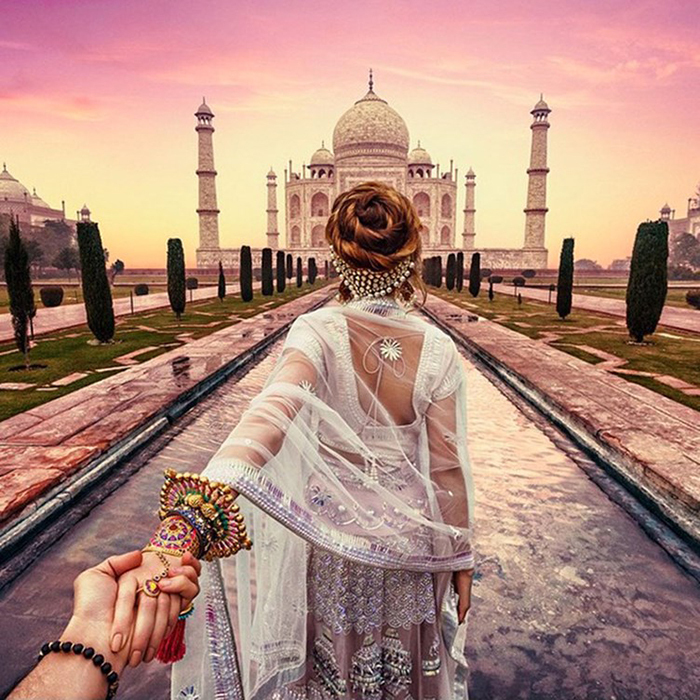 Follow Me Around The World is a series of photographs taken by a couple Natalia and her boyfriend Murad where they together travel the world and take photographs with Natalia leading her man. 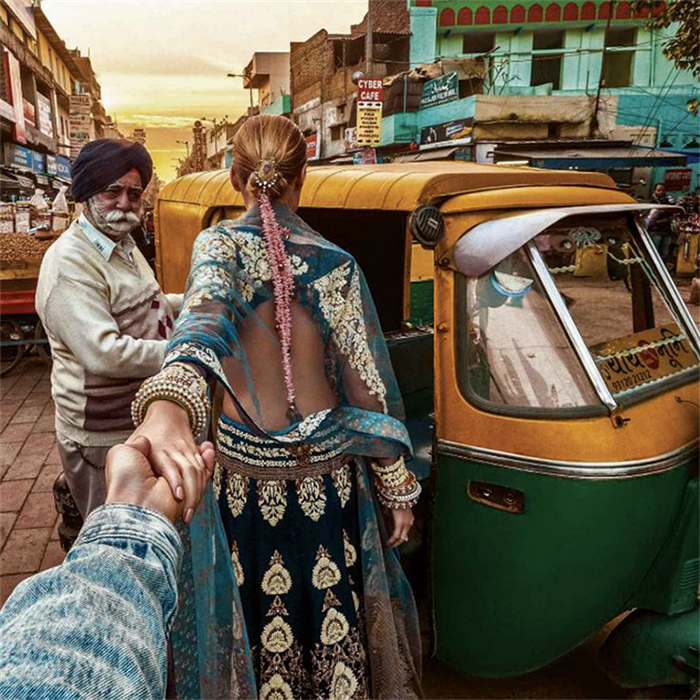 Harper Bazaar magazine recently commissioned the photographer to shoot a similar series in India in bridal outfits at historical locations. Here are the results, just astounding!